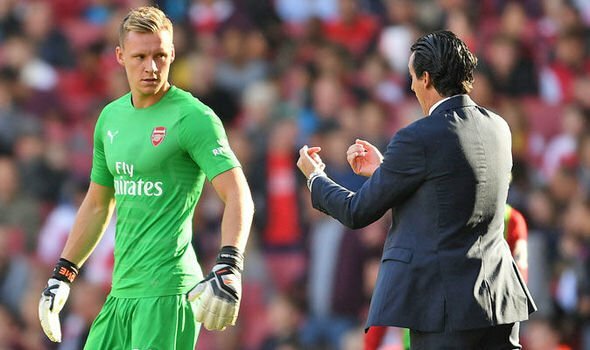 Arsenal keeper Leno slammed his teammates to tighten up the defensive area in order to stay put in the top four standings of PL. 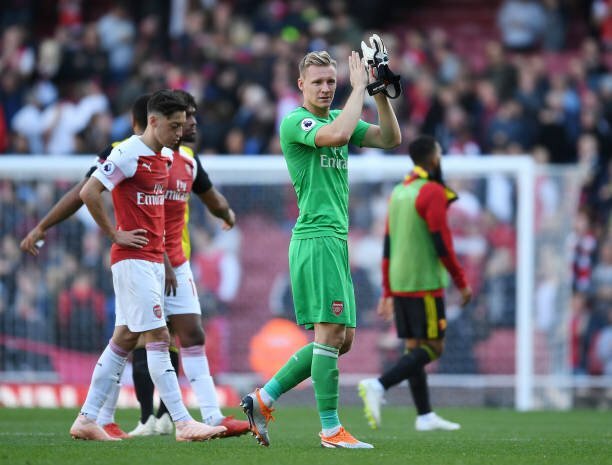 Arsenal goalkeeper Bernd Leno has told his team-mates to tighten up at the back or they can kiss goodbye to Champions League football next season. On Saturday The Gunners ran out 2-1 winners at Huddersfield as they ended an embarrassing winless streak of six matches away from the Emirates. Alex Iwobi and Alexandre Lacazette were on target for the visitors in South Yorkshire, but it was a less than a straightforward afternoon for Unai Emery’s men. The troubled Terriers spent most of the game on the front foot but all they had to show for their efforts was an injury-time Sead Kolasinac own goal. And German stopper Bernd Leno insists he has had enough of seeing the ball fly past him because the four men in front of him aren’t at the races. “The most important area is defence. This season we have conceded goals too easily. Sometimes it happens at the end of games – Cardiff at the end, Newcastle at the end and here at the end. It always seems to happen when we are two goals in front, so maybe we are losing a little bit of concentration because we feel too comfortable when the games are coming to the end. The Super Eagles winger, 22, put in a shift to be proud of on the right wing but Emery is keen to see him push on in the coming months and become a top talent. “He’s young. He has a big commitment. He has a very good physical condition. He needs to improve, tactically maybe also, some things. Above all he needs to be calm with the ball in the attacking third to have more assists and create more possibilities to score, to know when to shoot and when to dribble. The Premier League’s sixth-placed team have the third worst defensive record on the road this season, conceding 26 goals in their 13 away games. Against Huddersfield Leno was left scrambling, with his side conceding an own goal. The most important thing to maintain in the standing of Premier League is the strong defensive area and Arsenal is lacking in that field. In order to keep themselves among the top four they need to strengthen their defence field.